US NAVY VET served 7 yre active duty. 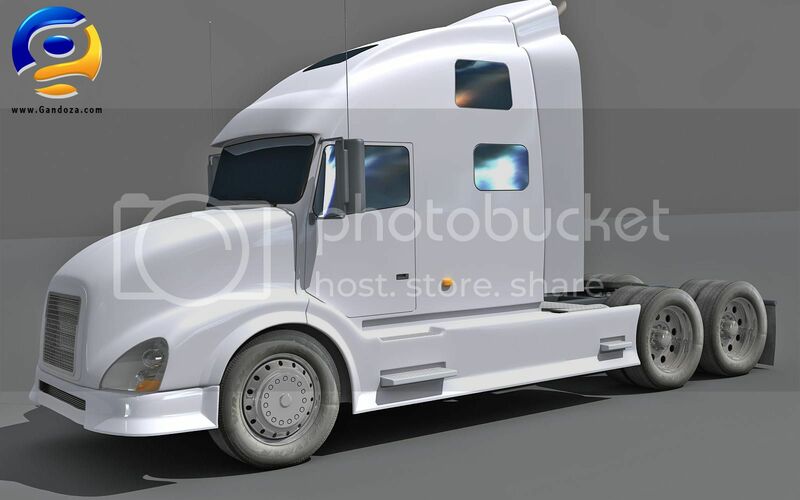 Wanting to get in Trucking Industry. I worked in catering for offshore oil rigs and land jobs with oil n gas industry for over 4 years. Wanted a new and adventurous career and been thinking about and researching trucking for about 4 or 5 years now.. Look forward to this next step in life. He posted in the general section about his quitting. I try to handle any CFI questions I can. I plan to start CFI sponsored training the 2nd week of Jan.. I have informed my current boss and my recruiter actually told my boss the first time sept but I then changed plans the next day so I Then see she has my job posted on job board ha but I sent her text telling her I goin in Jan.
Hi Scott I plan on starting CFI training in Jan. Awesome! Doesn't it feel great? You have come a long way. Enjoy your home time and post truck pics. Old Man of the Corn!! "Training at Crowder College is now 3 weeks instead of 4 weeks as you will be testing in an automatic truck and have a restriction for automatics on your CDL." this is copied from post on another forum from someone who is Now attending CFI training thru Crowder, just thought I would let everyone know. Also I planning to start around 2nd week of January, my current boss didn't seem to happy that I would be quitting, I think cause she know she have to hire someone else. Let them know when your ready and you will be on a Greyhound ASAP. If you do, then go home to wait for a trainer after orientation, you may have to go back to Joplin if they can't get a trainer to you. Just something to think about. Where did you hear that CFI's school is going to 3 weeks and in automatics? With CFI you are out with your trainer, after school and passing your CDL, for at least 7500 miles. That is usually 3 weeks. CFI's schools are training and testing on manuals. CFI's fleet is now almost 100% all auto shifts. The CDL training is still going to be 4 weeks in school, that gets your 160 hours certificate. As I confirmed today, CFI has no plans to change to training and CDL testing to autoshifts. CFI uses two private schools, Crowder College and Truck Dynasty. They are the ones doing the CDL trading and testing. After the four weeks at the school, you go back to Joplin for 4 days of orientation, then you go out with your trainer/finisher for at least 7500 miles. The time with your finisher usually takes about 3 weeks. Doing a 34 in Racing town, SC. Only 9 hours on my 70 with nothing to gain until 0000 Saturday, so dispatcher basically said take a reset. Robert, you've moved on to CFI, and as long as they're not concerned about your meds then you are good to go. I merely advised Wendy to have that letter ready to go just in case they hit a snag like you did at Maverick. That way they are proactive and ahead of the game. Here's the deal though, if you continue to encounter trouble with this issue, you may need your physician to change your medication to something more widely accepted in the industry. A lot of people have to do this to get their foot in the door of the trucking career. I've been accepted to Maverick! Any other Mavericks with opinions? everything I hear about Maverick is good, I aslo applied with maverick and was gonna do there student training program but since my dr. refused to sign paper on med I take I wasn't able to attend orientation. I m about to start student sponsored training program thru CFI in sept. I joined this forum years ago and after some personal issues I held off on pursuing trucking. Last month I applied to Maverick and I was contacted and even though I don't want them to contact my present employer, I was accepted and they will contact them last minute. The reason for the last minute contact is because my employer is known to cut hours/days from people when they know they're moving on to another job and known to corner good drivers like me with trying to negotiate pay and I don't want the drama while I'm there. I am a commercial driver on a Class C license, soon going on 5 years with the same company delivering with a cargo van which is anywhere from 250-450 miles depending on the stop count so not many miles with my current job. What should I expect while there? And is their health insurance good for a family? I'm excited to start another driving career and to experience the challenges that go with it since I'm not used to pulling and backing a trailer longer than 16' Lol. I just want to go into this prepared. I'm leaving my wife and kids behind to do this "dream" of mine and to try to provide better for them. I've been around trucking growing up as my dad drove OTR/ local Tri-Axle and for the past 10 years, local milk truck. Also, I still have the option to set in whether I want TCD, Flatbed or Glass.... I'm unsure which to be set on, the recruiter said they don't like you flip flopping. Flatbed and glass are the higher paid rate but do they slow down more during the winter? Bad roads during winter make for slower travel anyway, so would I be better to go with TCD or try one of the others? Question Old school what if Dr. refuses to write such letter state whether or not the med will interfere with driving ability, stating its a liability issue I have had this in past when I was trying to go with maverick this is a state mental health dr.
Wendy, Congratulations on all the progress and the decisions made! I'm assuming that he will be driving a flat bed if he's going with Cypress, is that right? I recommend you go ahead and have a letter written from the prescribing doctor stating that the medication your husband is taking will not interfere with him driving a commercial vehicle. It will be something his new employer would like to have on file. Best of luck to you guys, and stay in touch. I can assure you there will be a few issues here and there, and we all know how to help you see the way through them. I m about to start the process myself going thru CFI sponsored cdl school training program and I will have to get my DOT physical and CLP before going as well. also I am on a medication myself straterra for ADHD. He was about to go with Roehl but is now going with Cypress. He made that choice because he really prefers regional, it’s the Southeast (we’re from South Carolina and they can dispatch him very easily from where we are in Columbia. ) He talked to his Cypress recruiter today. She’s been very helpful about the process. He did tell her what meds he is on and he said she didn’t seem concerned about that. She has been very knowledgeable whenever he’s talked to her. Her boss was out of the office so it will probably be Monday before he gets the offer to come to training. Recruiter thought he could start in the July 23 class. Yes, he and I have both gone through lots of info here. I read everything I could find on this but threw this question out in case someone has had a similar experience. He is using the High Road to prepare for his CLP. He really likes it. He’s found this whole site very helpful. So glad we found it! He might get on the forum here himself at some point- right now he’s been studying and also finishing a few house projects that we need done before he is gone for CDL and road training. Thanks everyone for the congrats and advice. I'm excited for the future 'adventures' I will experience such as driving around Dallas, Houston, Jersey, D.C., etc., during rush hours (haha). I will definitely enjoy so those times I'll be driving the rural areas seeing the beautiful farm girls ......urrr........I mean farmland this country also offers. Headed to Joplin tomorrow morning. Should test out sometime Thursday or Friday. Maybe I'll get lucky and not test out until Monday due to the weekend. GI bill paying for the school, and yes I have thought about doing there sponsored program, and havent planned on using GI Bill for anything else as I have college degree already so. and thanks for providing email. Why not have CFI train you for free? Save your money. OK. You know CFI has a special deal for vets. Feel free to contact me any time.